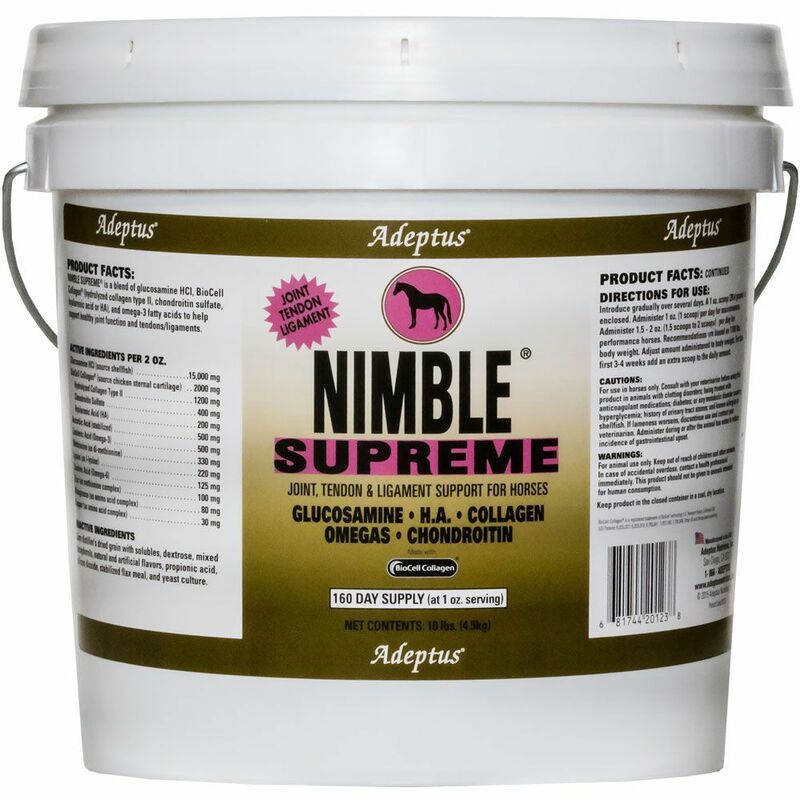 Adeptus Nimble Supreme Joint & Tendon Support for Horses contains the molecularly optimized and digestible HA and Chondroitin, as well as Collagen and potent levels of Glucosamine. This combination has several patents with research substantiating its digestibility and effectiveness. Nimble Supreme is the perfect choice for performance horses as it not only nutritionally supports joints, it provides support for tendons and ligaments. There are some minerals and amino acids known to be synergistic and helpful for maintaining the joints and surrounding tissues also. Feed this product along with a balanced diet. The digestive aid prebiotic base is a plus to any diet as well. INGREDIENTS: Corn distiller's dried grain with solubles, dextrose, mixed tocopherols, natural and artificial flavors, propionic acid, silicon dioxide, and yeast culture. Introduce gradually over several days. A 1 oz. scoop (28.4 grams) is enclosed. Administer 1 oz. (1 scoop) per day for maintenance. Administer 1.5 - 2 oz. (1.5 scoops to 2 scoops) per day for performance horses. Recommendations are based on 1100 lbs. body weight. 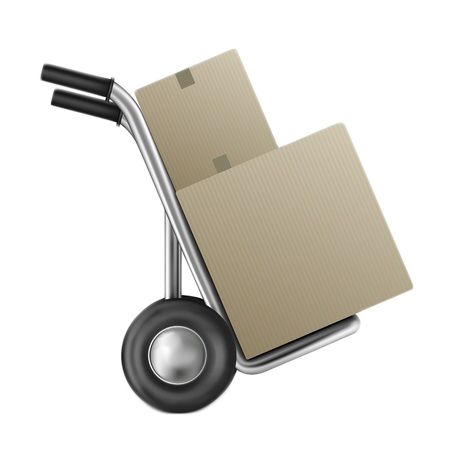 Adjust amount administered to body weight. For the first 3-4 weeks add an extra scoop to the daily amount.